For 60 Draw tube Round. This AK7 AL-KO towing head made of steel for trailer with a 60 mm round drawbar is suitable for all hitches with a 50 mm diameter ball.The use of the AK7 head is made simple and reliable by a lock indicator.When the handle of the trailer hitch is raised, a visible red mark indicates to the user that the hitch head is unlocked.The handle locks in a visible and audible way; it is then horizontal and indicates to the user that the coupling to the towing vehicle is locked. 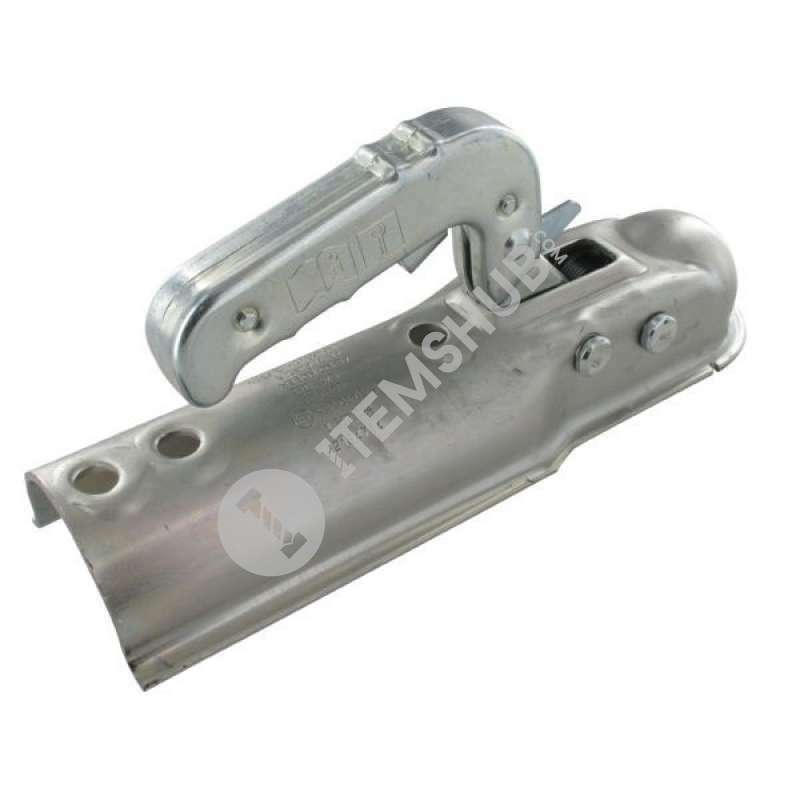 Summary This AK7 AL-KO towing head made of steel for trailer with a 60 mm round drawbar is suitable for all hitches with a 50 mm diameter ball.The use of the AK7 head is made simple and reliable by a lock.. Your personal safety is our mission and important to us. Therefor the AK 7 PLUS complies with any quality requirementsthat a coupling for unbraked trailers 750 kg can ask for. Place your trust in AL-K.. This style of coupling, usually suited to a 50mm Australian Standard tow ball, is suitable to be used where either there are no brakes fitted to the trailer or the braking system does not require acti.. The AL-KO ball coupling AK 750 PLUS is for unbraked trailers with V-drawbar up to 750 kg. It has the usual high AL-KO quality standard. The clutch has an approved total weight of 750 kg, carries.. Your personal safety is our mission and important to us. Therefor the AK 7 PLUS complies with any quality requirementsthat a coupling for unbraked trailers 750 kg can ask for. Place your trust in AL-K..